Alex and Liz put an incredible amount of time and effort in to converting this mews house (including adding a basement and extra floor) into their dream home. They asked me to design this kitchen which although looks very simple was in fact one of my greatest challenges. 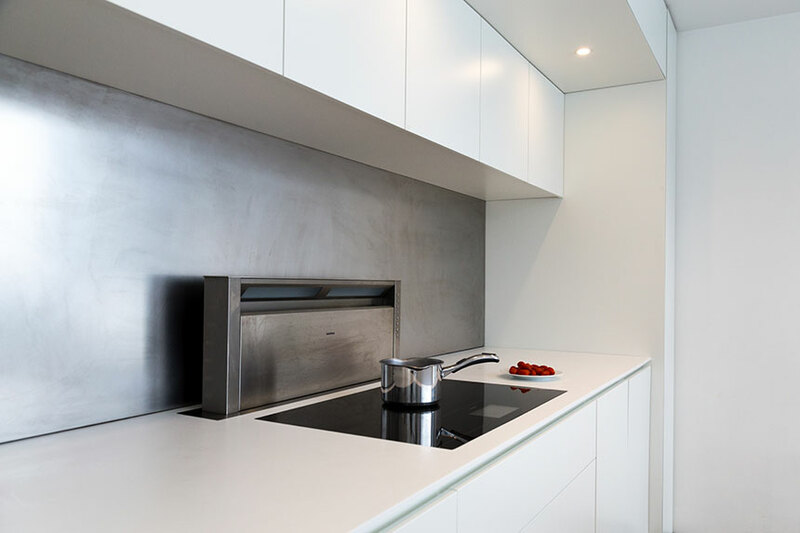 Firstly, there are no visible edges in this kitchen. Everywhere has a mitred edge detail. 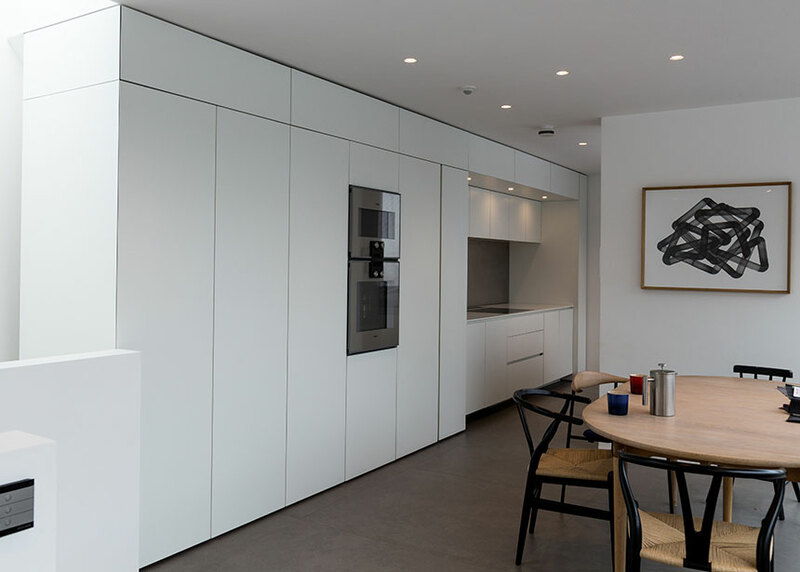 The fold away doors and the Gaggenau 400 series fridge freezer are designed for a plinth which we didn’t want as these units were in the dining area. 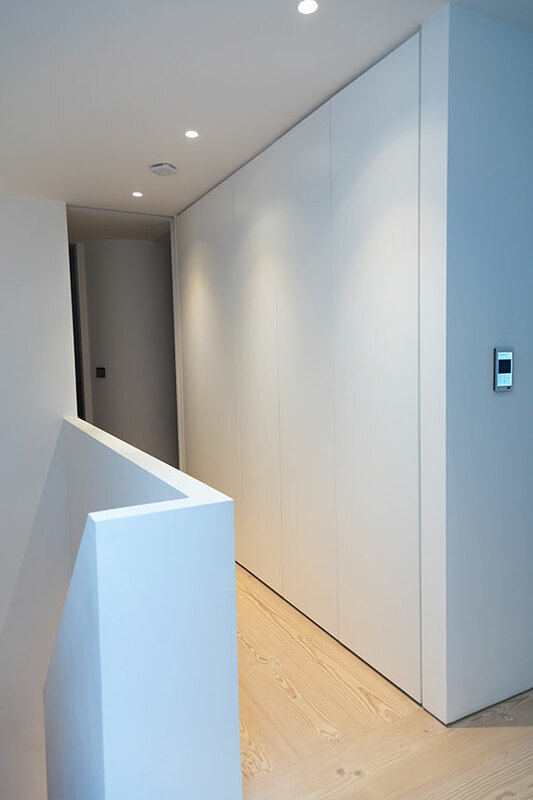 Behind the first low cupboard is a dumb waiter/lift which had to be incorporated into the design. The top units, which are electric don’t all correlate with the bases and behind one of the electric doors is an Ac unit. 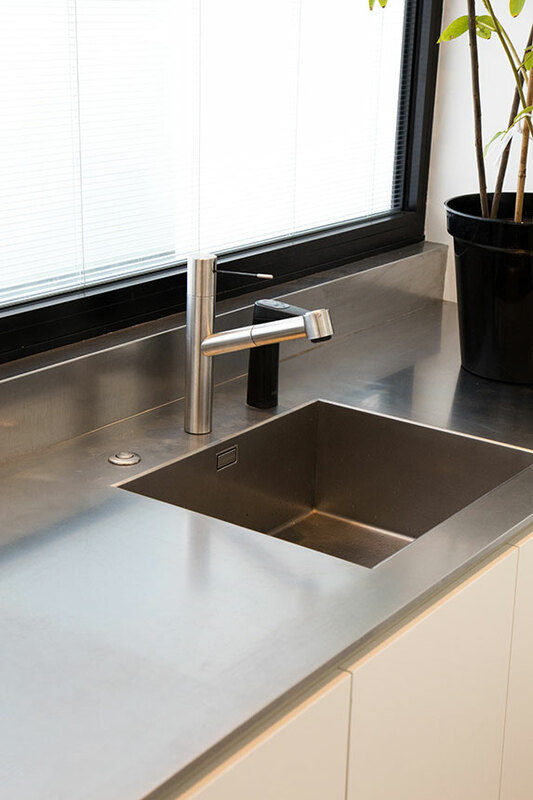 The stainless steel work tops and splash back were imported from Italy where they produce this lovely vintage finish and solid edge detail.